Exquisite and high quality product packaging and gift boxes need not necessarily be made of cardboard. A cheap alternative to all individual packaging hinged boxes and PP plastic containers are metal cans made of tinplate. Due to their stable material, you are especially suitable for sensitive products. With highly polished metal cans, and special window that provide a particularly noble and high-quality impression of the product. The possibilities of shapes and sizes for individual metal cans made of tinplate are almost infinity. In our standard range, there are some forms and types of tin cans, which are available from 2,000. 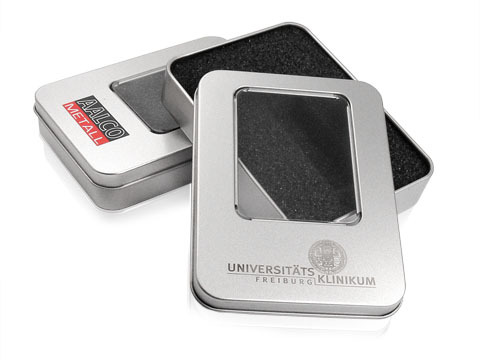 However, if you need a custom metal tin from tin plate for your product that fits your desire sizes, this can be realized from an edition of 5,000 pieces. In addition to all Weißbleck packaging can an individual inlay are made to match your product. For individual foam inlays you have a choice between simple and soft foam inlays to hard EVA foam inlays, where you can determine the hardness in each step. For more information on inlays and ways to adapt them to your product, visit our information page for individual foam inlays. 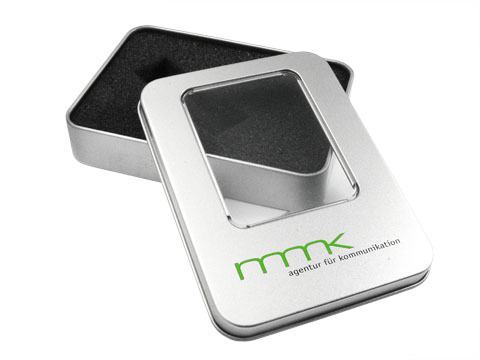 Each tinplate packaging can be individually with your logo or company logo refined. available for simple logos vectorized in a format that can store up to 4C by screen printing are applied to the packaging. In pixel graphics with color and elaborate design of special digital printing process can be used. 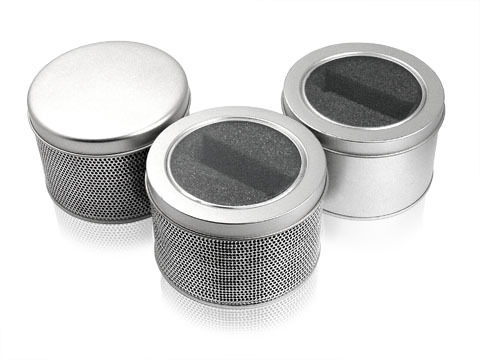 Information on all printing techniques to tinplate packaging and how the pressure data is required from you, you see logo printing for packaging. Have you already own a product made of tinplate packaging and look for a new producer for this? If you already have a tinplate packaging of another product that you like so well that you also like to have for your products? You can ask us to package our postal address and we will send you free create an offer for the post production of this package. If you have pictures of your desired package, you can send us this can also be pleased to send via email to the info@xatro-packaging.com and we will make this a free offer.